The moment healing love broke the spell of fear that I was locked in as a six year old who couldn’t trust that I was loved and would never be sent back to foster care. Sign up on the top, right to receive an email notification when I publish new posts. You can also visit me at David C Alves on Facebook and “Like” my author page. In the back yard of our Sewall Street house, in late fall of ‘54, mom had lit a fire in the outdoor incinerator. Our incinerator was just a blackened, wire-mesh drum in which trash, papers and other things were stacked and burned. As mom stood tending the fire, she wondered if she had gotten all the trash. Then she remembered the old suitcase. 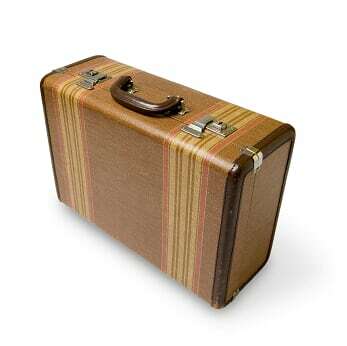 We had an old, tan and brown hard sided suitcase. The case arrived with me December 15, 1953. It had held all my earthly possessions. A brown mesh strap with clanking buckle, encircled the case to secure it and provide added support. Once mom had emptied its contents into my dresser drawers, she took it down the twisting back stairwell and heaved it up onto the top of an old white enamel cabinet on the landing. She figured that she would make use of it in the future. That December we celebrated my first Christmas in the Alves household. From what I can see in home movies and recollect from more recent holiday dinners with mom, the outpouring of gifts surprised my parents, Dave and Betty. All their friends shared in the joy of their first Christmas as new parents. The living room was strewn with trucks and cars, cowboy guns, a cowboy suit, games, a red tricycle–more than any four-year-old could fathom. In their wisdom mom and dad decided to take some of the gifts and store them away to bring out as surprises throughout the year. Mom remembered the old suitcase. One day when I was at school, she collected up some of the unopened gifts. She descended the back steps and pulled the old case from its perch and put them it. She made several trips until all the excess gifts were stuffed into the suitcase. She waited for my Gramps to get home and help her heft the stuffed suitcase back up on top of the cabinet. When she felt that I was growing bored with my toys or needed a lift, she then would make the trip down to the suitcase, pull it down, withdraw a little treasure, then heft it back up and return with a special surprise for me. She said that after awhile I caught on and knew about the hiding place but never let on. One day the last toy was plucked from the case. Mom put the empty case back up on top. Throughout the year, the opening closing, dropping and lifting of that old bag took its toll. The image of that old bag now entered her thoughts as she tended the fire. She left the fire. She climbed the back steps, opened the door, and entered in to the back landing. She looked at the worn out bag . . . grabbed the handle and pulled it down off its perch for the final time. She headed straight for the incinerator. There she began to pull it apart, putting its large chunks into the fire. At about the time she was midway into her labors, she saw me open the back door and come down the back steps. I saw her with the last pieces of that bag in her hand. As she pushed them down into the licking flames a rush of sparks pushed up around the chunks of bag and dissolved in the air. But I couldn’t talk. I only sobbed and collapsed there in the grass of our back yard. She drew me up to herself and held me. I still couldn’t talk. I could only heave huge sobs into her soft, yellow sweater. Mom squeezed me tighter. I wish I could say that the burning of the old suitcase was the end of my need for acceptance and love, but that would be untrue. However, it was the first stroke of healing in the life of a small foster child. 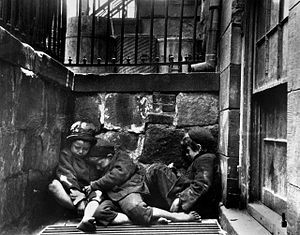 My sobs and anguish so long ago bespoke the pain and the joy that had entwined my young heart with an old, brown, tweed bag that was being burnt by my loving Father. My mother was His instrument of healing at this lovepoint of both our lives. My years of waiting had come to an end. I finally had a home.